Facebook. Love it, hate it or both. There’s nothing quite like it for putting you in touch with people. People who you’d be unlikely to bump into without it. Yesterday, thanks to Facebook, I met Craig Sams and through Craig, a charming young lady called Minnie Kemp. Craig is an interesting chap, for a whole host of reasons (look him up and you’ll see what I mean). He also happens to hang out on a Facebook page called “Original Modernists 1959-1966” where I met him a few days ago. As some of you will know, I am researching The Scene Club for my next book. The Scene was a mod club in London’s Ham Yard during the early 1960’s, which is a bit of an understatement. Because it was probably the London mod club, along with The Flamingo around the corner in Wardour Street and a couple of others. 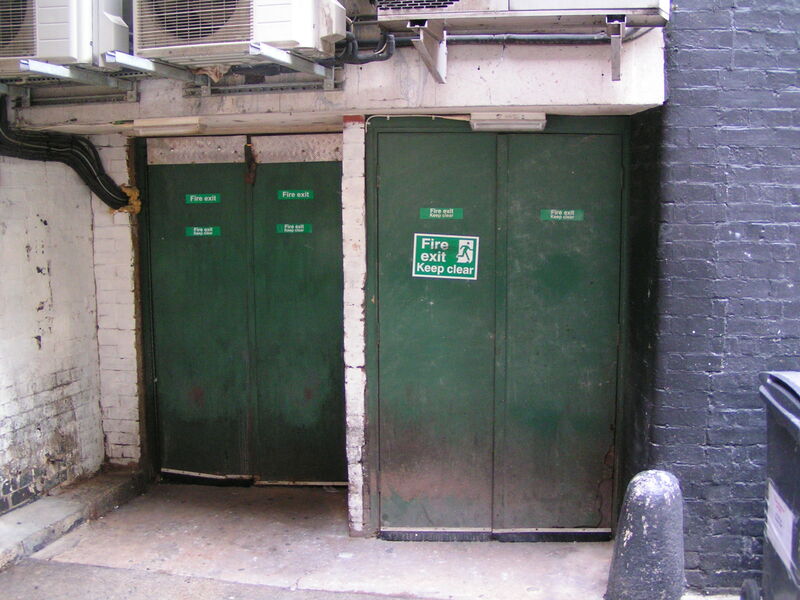 Access to this famous little club was down a flight of concrete stairs in the corner of Ham Yard, behind The Lyric public house. 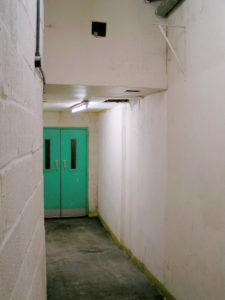 Fearing the worst, I paid the place a visit last week and was surprised to discover that the redevelopment stops at the entrance down to the basement formerly occupied by The Scene. The doors, at least, are still there. Which rather begged a question or two. What is behind them? Does the basement still exist? Does anything survive of the club itself? And more to the point, how might I go about gaining access? Fortunately, Craig supplied the answer in the form of Minnie from the hotel, who kindly agreed to meet us and to show us around the hotel basement (which she did – the hotel basement houses a very splendid bowling alley – one of a kind, apparently). This was all well and good except for one thing. It turned out that the green doors don’t belong to the hotel at all, but to the next building along. In fact, they belong to Grace, a bar and restaurant which has its front at 42-44 Great Windmill Street. So off we went to Grace and, after a rather awkward conversation with the bar staff, managed to convince David, the manager, to show us his basement. At the back of the bar area was a door, behind which was a passage. It was when we passed through it that we knew we were in the right place. There were the steps up to the green doors that lead out into Ham Yard. 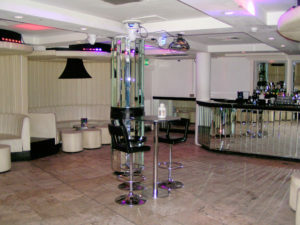 The entrance to The Scene Club, from the inside. What a thrill (if you’re into that kind of thing). So far as we could make out, the area formerly occupied by the dance floor at The Scene Club has been partly divided to form a fire escape (the wall, on the right in the picture to the left is recent). Having worked that out, we were beginning to wonder whether there was going to be much more to see, when I happened to look up. I really hadn’t been expecting it. There’s a false ceiling in the main bar area, so nothing much to see at all. 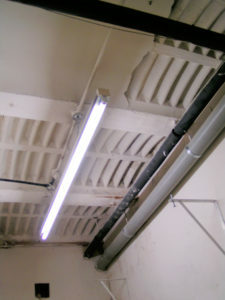 But just before you leave the walkway and re-enter the bar area there is a patch of original ceiling (picture, left). I recognised it immediately. It is exactly the same ceiling that appears in the wonderful photographs of The Animals playing The Scene Club, recently discovered by Sanford Santacroce and posted by Sanford, generating huge interest, at Original Modernists 1959-1966. 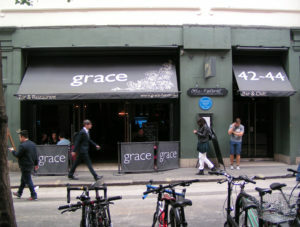 David, the manager at Grace was completely unaware both of the venue’s history, and of the fact that his basement bar had played host to the likes of The Animals, Georgie Fame & The Blue Flames, Chris Farlowe and The Thunderbirds, The High Numbers (apparently – who later became The Who) and The Rolling Stones. So there you have it. Many thanks to Craig Sams for making it happen, Minnie Kemp (at Ham Yard Hotel) David (at Grace) and Sanford Santacroce (for the historic pics). This entry was posted in Mods and modernism. Bookmark the permalink. What memories! Although my parents wouldn’t allow me to go “up west” at exactly the right time, so I missed being a part of it. Knew all about it, though! Great article – I often have a look at those entrance doors when in London…. and sigh! I write a fanzine aimed at the Mod / 60s crowd named “Heavy Soul!” and would love to include parts of your article and maybe an interview with you about the book? Well done Andy on getting down there – I’ve tried with the staff in Grace but no luck. On the Ham Yard street level is the entrance the door on the left? and once through it do you descend the brown coloured stairs in your photo, to go through the green doors, along the passage and down a second set of steps? There’s a well known pic of Mods on the steps with a poster for the Scene above their heads. No sign of the famous alcoves then? Do you know what the Milk bar is used for – private functions maybe? I’m sure you know this but if you google ‘Cy Laurie Jazz Club’ you’ll get pics of it pre-Scene days. Any idea what is happening down in the Flamingo basement these days? Hi Ian. Yes, the entrance down to the basement is via the doors on the left. 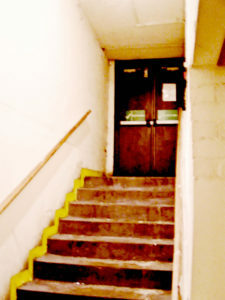 The third picture down (the slightly yellow one) is the view up the stairs to the inside of the doors. There are now several passages along the back of the basement and further stairs which I think are all original. Craig said that the toilets are where they were originally too. No sign of the alcoves, although there was a recessed area near to the stairs up to Grace. 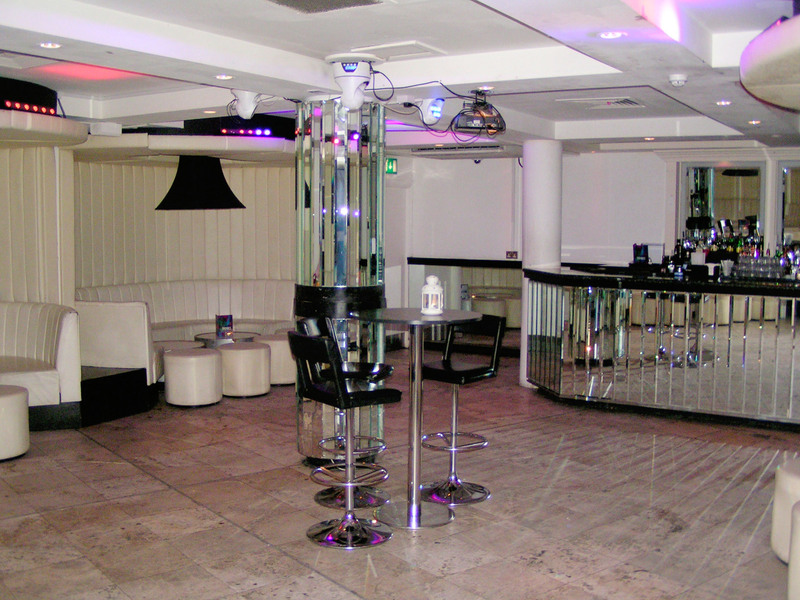 The interior of the downstairs bar area (now called “The Milk Bar”) has, of course, been completely refitted – so quite difficult to work out exactly what was where. According to David (the manager) they use the bar for functions. There is live music at Grace – upstairs only, though, I think. But the Milk Bar is big enough for a small intimate gig – maybe a couple of hundred people with a small stage, although visibility wouldn’t be great. Thanks for the info on Cy Laurie’s (yes, I did know, but I’ll take another look). Not sure about The Flamingo. Perhaps I should turn my attention to that next. Let me know if you discover anything. Regards. There was an alcove, very elegantly decorated but a separated space to go for a snog. The doors to the Scene were on the right. You’d go down one flight to a landing that led down left to the short entrance. The box was on the right and the two swing doors led straight in, record booth on your right by the doors. Nobody who is writing about the place could ever have been there. not to forget the impression s and the Miricals. are such great days . With only the 100 club left as one of the 60’s iconic venues it would be fantastic to open up another authentic venue. Wouldn’t it?! I would just LOVE to see a reunion do happen down there… Imagine that. Don’t forget it was Cy Laurie’s too! Thanks for the reminder Adrian… Knew about Cy Laurie’s but must admit I haven’t really looked into it, prior to The Scene. Will do so. Cheers. Been snooping round the doors at Ham Yard many times to try and catch a glimpse or some of the aura from the club . Would love to go in and have a look about and soak up some of the nostalgia , or even better a night of R’n ‘B , coke and fab faces ! That would be groovy !! I visited The Scene on a number of occasions in 1965. I used to catch the last tube on the Northern Line from Clapham North. As I was only 16 and my parents were rather strict, I used to shimmy down the drain pipe and escape! I would return in the early hours of the morning, after walking home from the West End. What I could never understand was how few people were in the club by the time I got there. I found out later that everyone had left to go to the Marqee Club, which stayed open much later. I did try and get in the Marqee, but was refused as I still looked like a youngster. Very exciting times. Hi Andy, Fortunately my parents never found out. My Dad had a short temper so I am pleased to say on this occasion I avoided a good clip round the ear plus! What a nice reading! Thanks for sharing. I’ve really enjoyed it. I was at the entrance once some years ago “chasing ghosts” but never thought the basement was still there! Would be great to locate Sandra, the resident DJ at The Scene Club. She sure has many great memories but no trace of her since those days. Really looking forward to read your book. Greetings from Spain. Many people think Guy Stevens was the resident DJ but it seems he only did one night per week, Tuesdays I think. Rest was Sandra who DJ ed down there. Later on came James “Doctor Soul” Hamilton as resident. Guy Stevens was the DJ on Sundays when I used to go to the Scene. I remember him drinking scotch out of the bottle whilst the music was playing. On several occasions the Animals followed on. 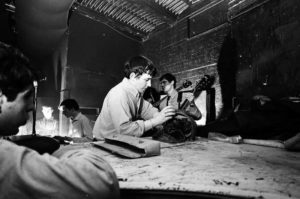 A few minutes of trad jazz and the interior of Macs rehearsal rooms in 1962. Macs rehearsal rooms apparently went on to become the Scene. Great feature by the way, it’s something I’ve been wanting to do for years but you’ve saved me the job. Thanks Darryl. You’re not the only one. I think we pipped quite a few people to the post. A few years ago I attempted to persuade the current owners to allow me to host a Scene Club tribute gig but to say that they weren’t interested is an understatement. I did feature the doorway in a short film made about Soho a couple of yewars ago called A Mod’s Guide to Soho (or something like that). Having dj’s at the Whisky A GoGo as well as a venue that was the original Tiles (in 1982) I thought it would be a fitting tribute to organise an allnighter at the Scene. Also, Guy Stevens did only host pone night a week, although I had been told it was a monday! As a fan of the period and music and also a student of Archaeology, I would say that your article is a great piece of research. We saw the building works happening in Ham Yard whilst visiting London and thought that they would obliterate any surviving Scene Club features but, you have proved otherwise. I live in hope of one day excavating the site of the Brazenose street Twisted Wheel in Manchester! Thanks Mark. Glad you enjoyed the piece. If you do, let me know and I’ll join you! 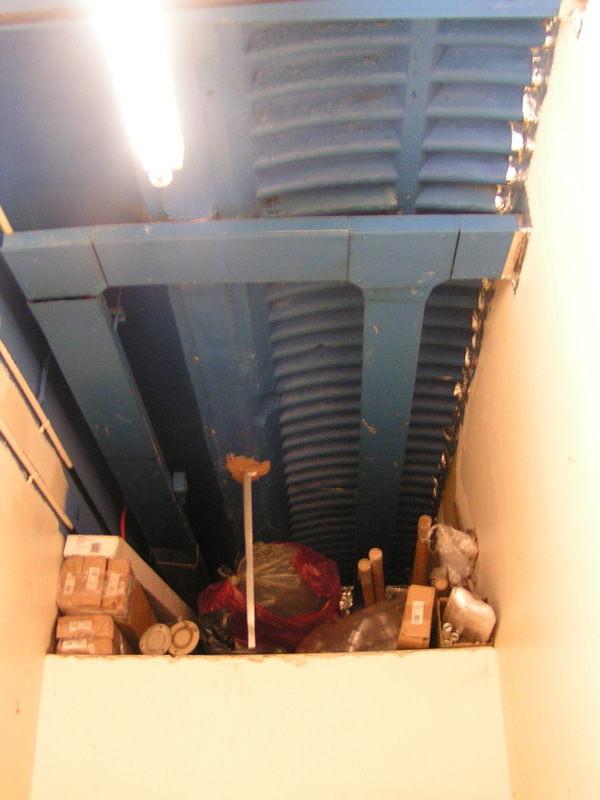 I often went to London and would Allways visit ham yard, (the place does have a vibe) the building works were going on and I was ready to pounce on a bit of the building if they demolished it…lol. They certainly do, a sort of residual energy, if only someone had the forsight to record a few nights there back in the 60’s. Just a recording of the people, music playing, the conversations, dancing, residents of the club who were in bands etc, top faces like micky tanner, and Peter meadon, etc, Sandra the DJ etc, can only imagine what it was actualy like to be there in its heyday.. 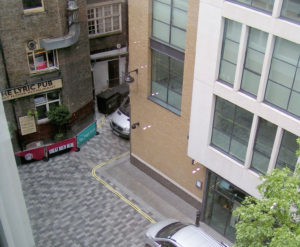 I once read somewhere that an American news crew had recorded some footage inside the Scene club and around Ham Yard. Dont know how true it is, but maybe someone could verify it. That would be cool.. I know there were photos taken, easily found on Google etc.. hope someone can come up with the info…Ile try to research it.. I’m sure there must be some footage somewhere. .. Excellent research, I’m another Ham Yard skulker! An R&B / soul night there would be epic. .
One of the original Scene mods wrote and published a short story about the club in a magazine called Metropolitan, sometimes in the 1990’s – the mag was published in Manchester. My mum worked at The Scene, behind the bar and in the cloakroom sometimes. Witnessed it all! Thanks for the great article, I’ll show it to her. Should bring back some memories for her. As will the book, when I finally get there. Watch this space (it’s a work in progress)! 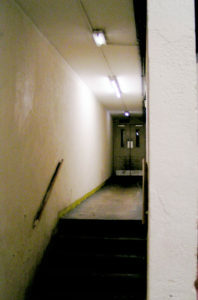 In the article it says that the doors to The Scene were on the left,; they’re weren’t, they were on the right. Eddie Piller makes the same mistake in his Youtube film. My Dad ran the bar in the Scene Club with his brother. As I was only born in 1962, my parents sometimes took me along in the pram and kept me out of sight! 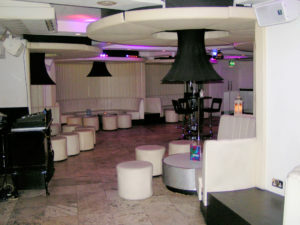 Dad designed and built the booths in the club. The Manager at the time was Lionel Blake, he was also a bit actor. You’ll see him as one of the German scientists in ‘Operation Crossbow’. He lived with us for a time. 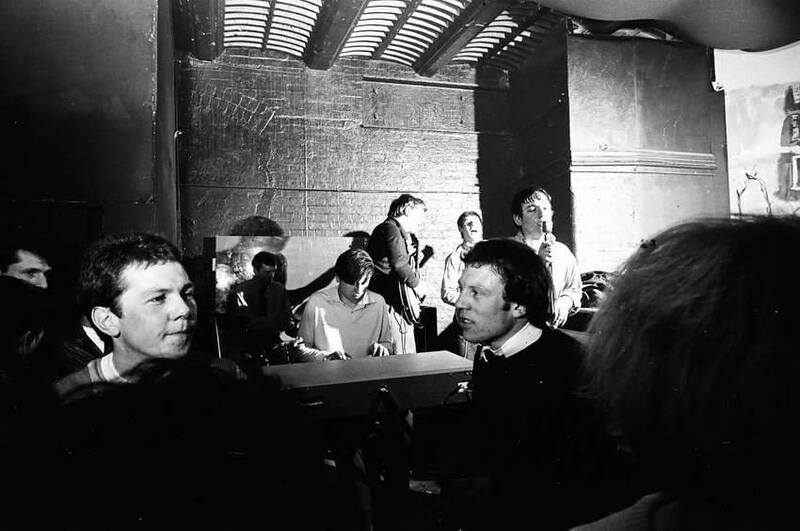 I’ve been searching all over the internet for pictures of the Scene Club’s interior as Dad talks about it often and I think he’d like to see it again, this is the first time I’ve managed to find a few pictures. I’ll be showing Dad and Mum tomorrow. Dad will be s 78 this year and Mum will be 76. If anyone has pictures of the interior of The Scene Club back in the early 60s, I would love for them to share them so I can show Dad and Mum. It would make their day! I look forward to obtaining your book Andy! Love to talk to you about your parents’ memories of The Scene Club. I’m writing something that touches on this period. Thank you for your message Steve, I’m so sorry, I didn’t realise that anyone had left me any messages but got something today and was having a bit of a whinge saying ‘no one ever gets back to me’ etc. only to find you have left me a message and so has Mervyn. If it’s not too late, please let me know what you’d like to know. Apologies for the delay in replying. I’ve just emailed you. Didn’t realise anyone had left me any messages! In reply to the guy who mentioned a film was possibly made there, yes there was , I was there that night . A guy I was seeing at the time called Denzil, showed reporters around all the London clubs including the scene, and the disco in streatham , the article was in the glossy magazine of the Observer newspaper. Hope this helps . My name was maggie newton at the time . Have really enjoyed reading this. I am currently starting to plan a novel that will include The Scene club at some point. This will be a big help, thanks. Andy, Great research, I danced to “Hole in the Wall” by the Packers in my expensive leather sole Italian shoes. Only leather sole shoes were permitted on the wooden floor by the management. A fine dust would be generated by the dancers, which was swept away by a fine broom during a all nighter. The current owner, if any sense, should clear out the vulgar Grace, and restore it back to The Scene circa 1963. It could be London’s Caven. Think of the tourist attraction, it could be a money pit. Having read your excellent article, I thought you might like to know Jack Solomon’s have given me the green light to organise a special event at this location. Further information will be published when available primarily on the OM Facebook page. Hi Richard, That would be tremendous and I’d love to support it in any way that I can. The soft drinks at the Scene club were NOT powder and water. The booths you’ve mentioned were designed and built by my Dad! My Dad ran the bar of the Scene Club with my Uncle, they were friends with Ronan O’Rahilly. I’ve left several messages about this and no one has ever come back to me. Lionel Blake, was the South African bouncer there (he was also a bit part actor, you can see him in the movie ‘Operation Crossbow’, he’s one of the German scientists). Has anyone bothered to search him out? Has anyone spoken to Georgie Fame, who I know remembers the Scene Club as I spoke to him several years ago. How about the Rolling Stones? They played there before they were famous. The people who describe themselves as ‘Mods’ at the time are probably the same people who would ask Dad if they could put their ‘stash’ of drugs behind the bar when the police raided. My Dad, who has always been an upstanding citizen, told them no, perhaps that’s why they are insulting about the bar and drinks?…. Apologies, just seen some messages for me! Yayyyyyy! I’ll get back to those, thank you! Hi everyone, I was a regular at all the clubs mentioned, the scene, the flamingo, the whiskey & the marquee. My memories are quite vivid and I have turned then into walking tours…check out my website http://www.backinthedaywalks.co.uk. I find it hilarious that with all the fond memories no-one is mentioning Purple Hearts. Are you serious Paulette that no drugs were allowed in the Scene? They were rife. I lasted for 6 months between April 1964- October 1964. Danced there until 6.a.m. Then down to Anne’s then to Waterloo Station to clean myself up before going home. Then Sunday afternoon down to the Flamingo. Hardly anyone at that club went there straight. It’s interesting to read how the place gradually faded. I went back drug free and was totally bored. The music was great though and I have never regretted the madness I indulged in. Please don’t tell me the drinks weren’t watered down. I wasn’t that “blocked” Just glad I got out before it killed me.